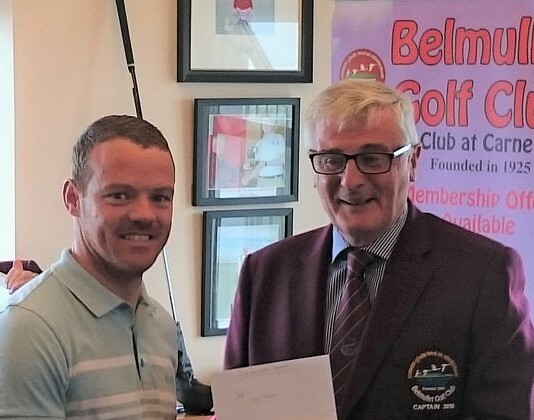 Our new Head Greenkeeper is Fergus Kearney, who has taken up the position recently. Fergus was formerly at Doonbeg. We welcome Fergus and his family to Erris and hope and trust they enjoy their time here. At last night's information meeting (3/4/2019) Fergus addressed those present and stated that he relished the challenge of working in Carne and in his own words said 'no point telling you what you know already, that you have a truly wonderful links'. Members are requested to give Fergus and his greenkeeping team all the help and courtesy they can. As usual we will help them out with a few redivotting evenings during May -Sept to keep the fairways looking good, while all the time doing our best to replace divots, repair pitchmarks and rake bunkers. Now that our greenkeeper Chris has moved on to Rosapenna to be nearer home, we will get a course report from his successor when he/she is appointed. Most significant work carried out under Chris Breen in his twelve months as Head Greenkeeper was the lowering of the fairway in front of the Hackett 2nd hole to give an amount of green visibility from the lower tees. Also the lowering and re-sodding of the Hackett 12th fairway, the improvement of paths particularly from the Hackett 11th green to the 12th tee and the planting of bent grass particularly along the edges and in front of tees to take the 'open/flat' look off more forward tees from those further back. Most significant achievement for Chris and his staff was keeping the grass alive during the lengthy drought of 2018. Everyone at Carne wishes Chris all the best in his native Donegal. We are currently carrying out a massive winter construction plan. Any bunker that has G.U.R in white writing is out of play, until the bunker and turf has matured fully. The tees have gone back to full distance this week ahead of the season ahead. Also I will be introducing permanent buggies paths in the coming weeks. Again I encourage all golfers to repair pitch marks! Work is currently being carried out on the 12th Hole so placing nearest point of relief maybe necessary as we are re turfing all bare /weak areas on the 12th. 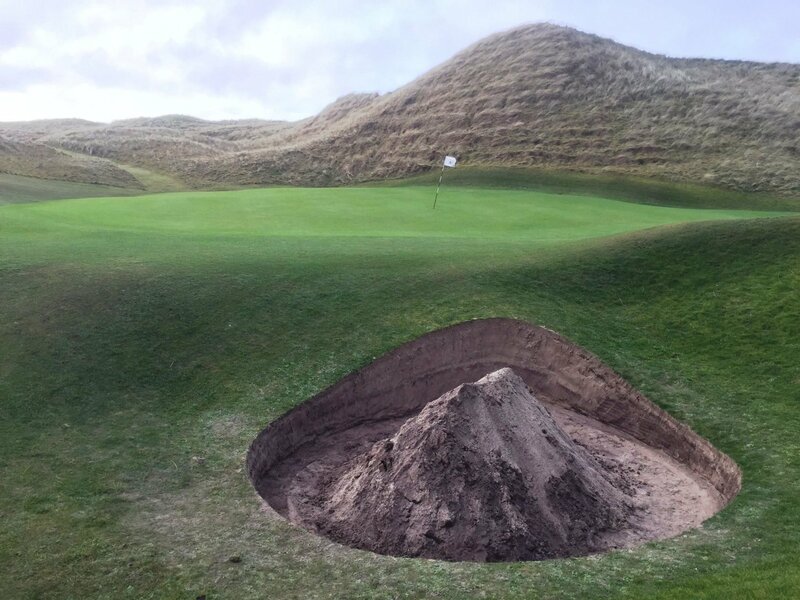 Daire and his greenkeeping team have been busy over the last few weeks reshaping and revetting the bunkers on the Hackett front nine.